Aguaviva – What a meal! October 15, 2010 Food, Travel, UncategorizedAguaviva, Caribbean, ceviche, Condado Puerto Rico, Old San Juan Puerto Rico, Oysters Rockefeller, Puerto Rico, restaurant, San Juan Puerto Rico, seafood, Travel and TourismReba R.
My fiance and I were recently in San Juan, Puerto Rico for a few days. 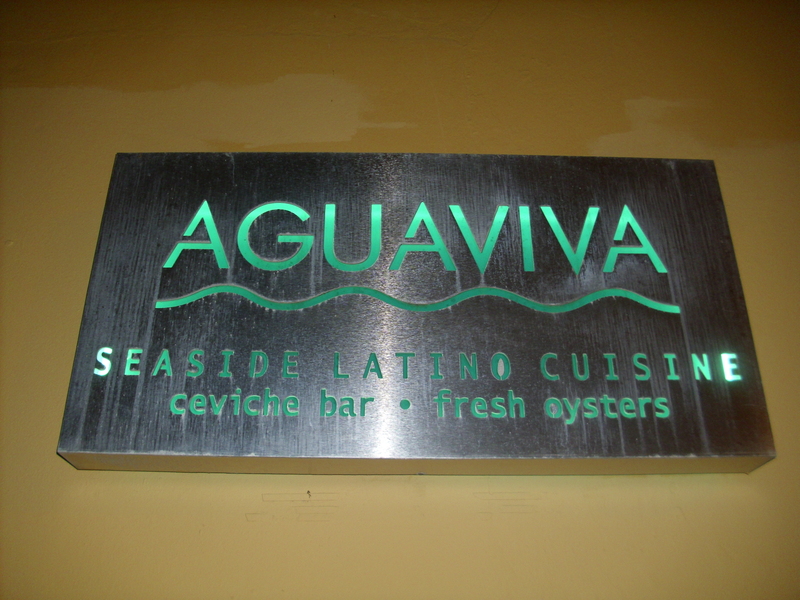 My fiance really wanted some fresh seafood, and the hotel concierge recommended Aguaviva, located on Fortaleza Street in Old San Juan. Our server was Andrea, who was fantastic. She was knowledgeable about the dishes, not timid to give her own recommendations, and had a great sense of humor and was just very real. It always elevates a delicious meal to another level when you have a wonderful server. Get Snapchat and learn something? Salt – Have You Seen it Yet? !